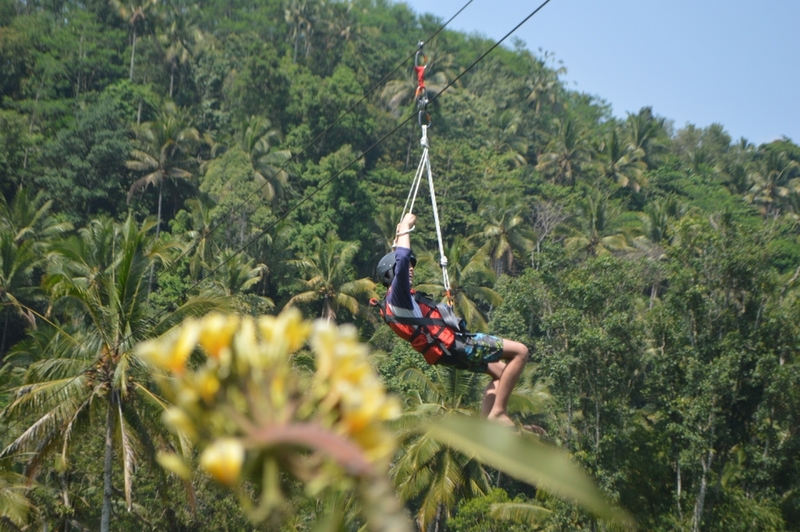 Bali Zipline is a shortcut from the rafting lobby to the river which takes 5-7 minutes walk pass through the rice field. 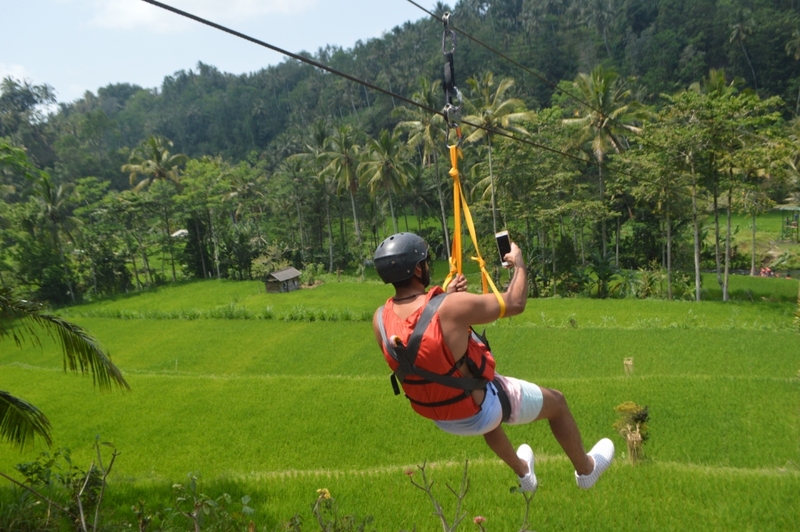 Zipline Bali or Bali Zipline will offer the spectacular view of rice field, small forest, hills, and the river. 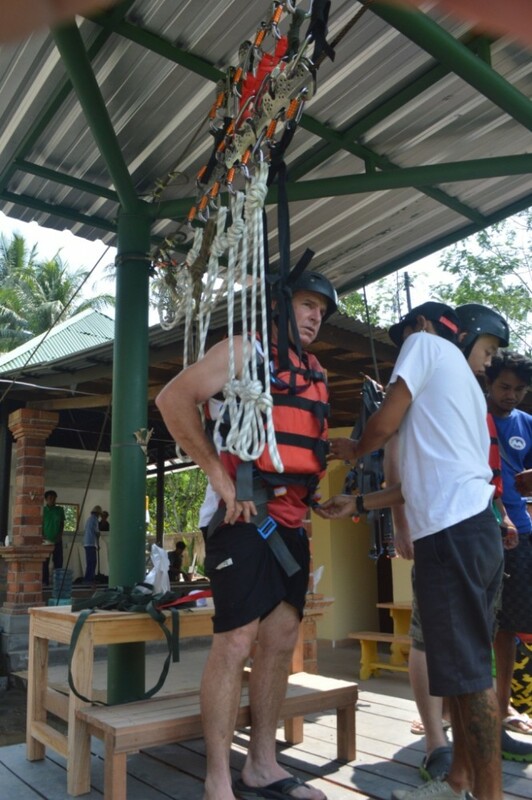 Zipline Bali will combine with Bali rafting at Telaga Waja River. 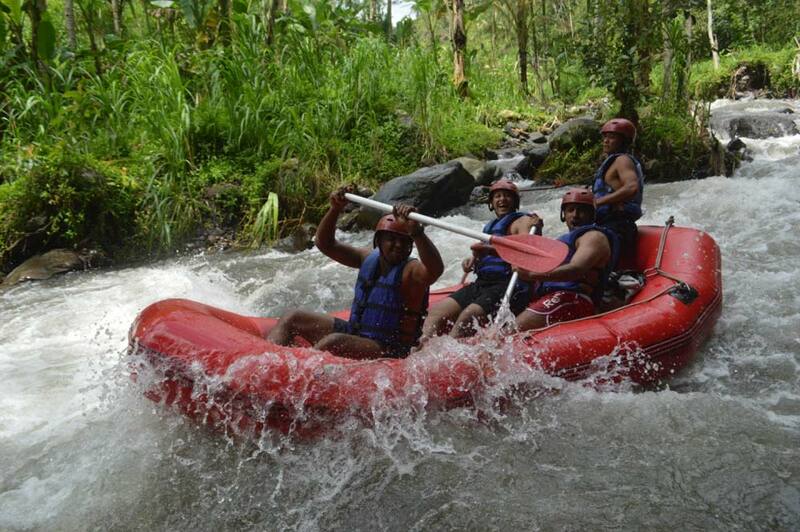 Bali rafting at Telaga Waja River is one of the most favorites things to do in Bali. 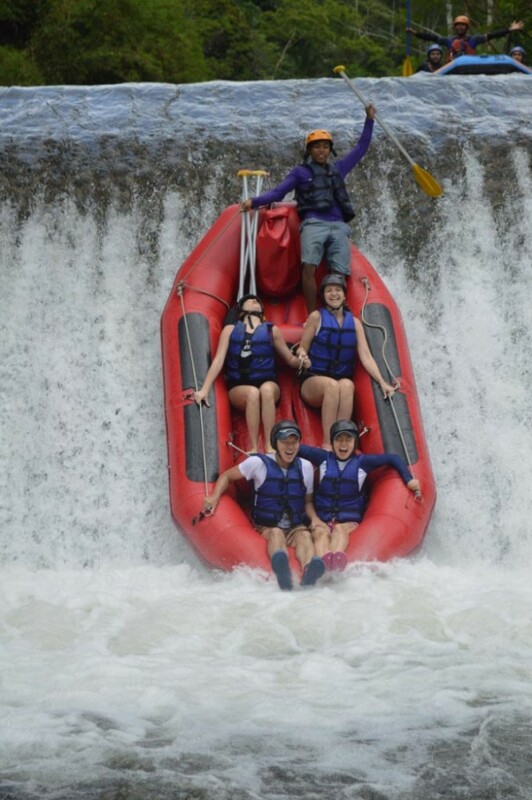 White water rafting Bali at Telaga Waja River will take approximately 2.5 hours to 3 hours in 14 km long of the river distance. Bali rafting at Telaga Waja River is class 3-4 will make the longest and the fastest rafting in Bali. 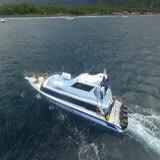 Combination of Zipline Bali with rafting will feel both sensations in the air and in the water. 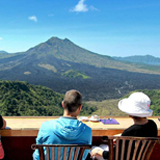 So, this combination package can be concluded as one of most complete tourist activities in Bali. 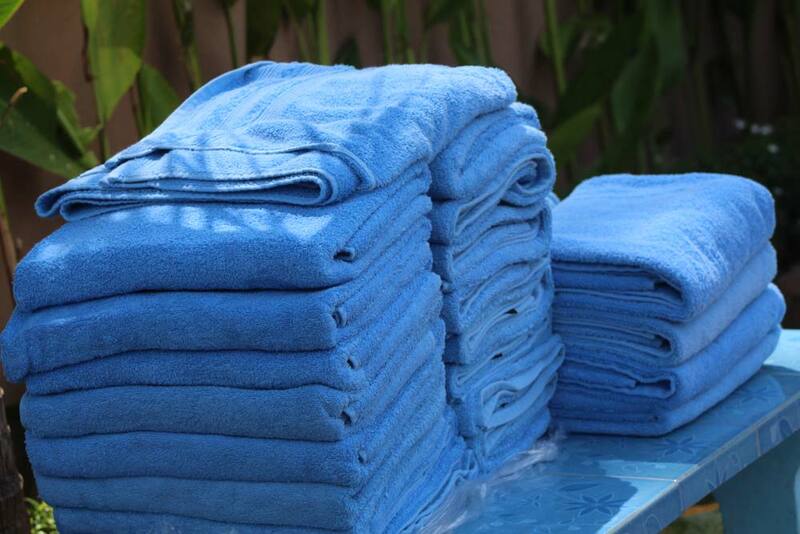 This combination package will be started by picking up from the hotel and take to riverside lobby around 1 hour and 30 minutes. 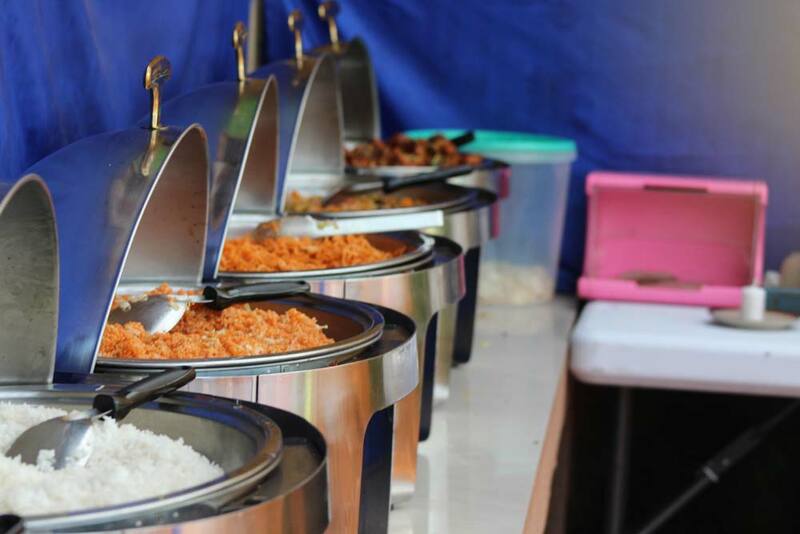 Our friendly staffs will greet you upon arrival and you can relax while you enjoy the welcome drink. 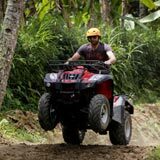 Then you will be guided to use complete equipment for the Bali Zipline to fly over the rice field for around 30 seconds. 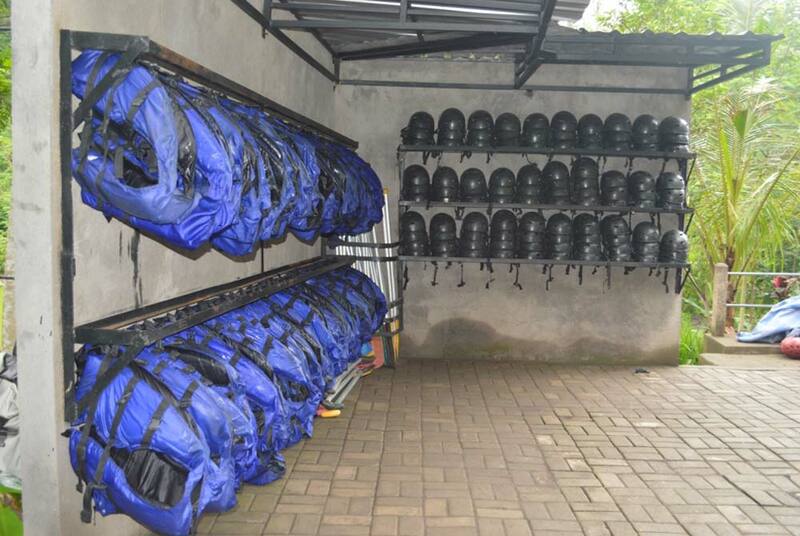 At the start point, our guide has waited and you will be given small brief before begin the white water rafting trip at Telaga Waja River. 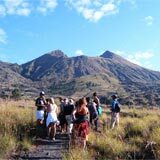 Your adventure will be 2.5 hours to 3 hours on the river and you will enjoy the highlights of rice fields, coconut trees, small rainforest, hills, and waterfalls. 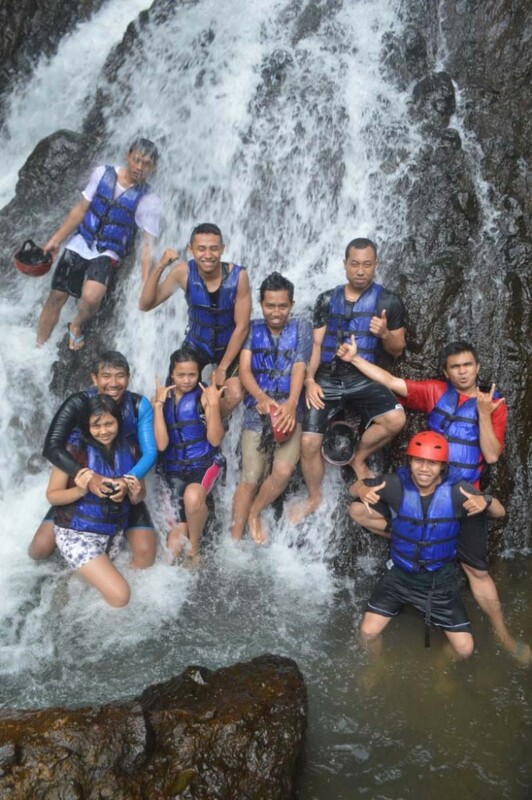 At one of the waterfall, we will stop for taking picture and rest for 15 minutes. The adventure will be continued and always follow the guide instruction. 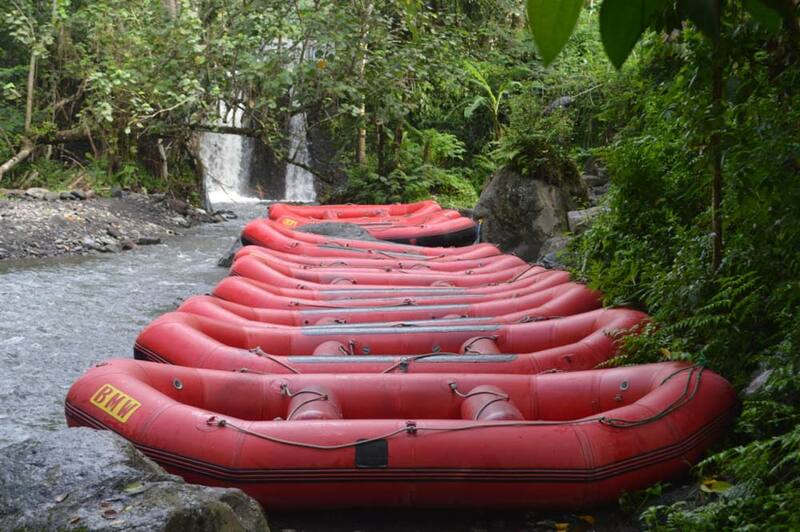 Bali rafting at Telaga Waja River will less paddle because the water is going fast, so it will make you save energy to enjoy the beautiful nature of Telaga Waja River. 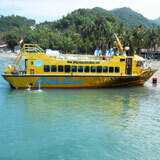 At one part of this adventure trip, you will jump for 5 meters at the Bajing Dam and it will pump your adrenaline. Then we will paddle and continue the adventure by exploring the Telaga Waja River. 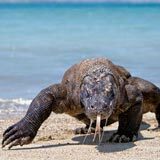 After you reached endpoint you can wall 5-10 minutes to the restaurant for shower and lunch. 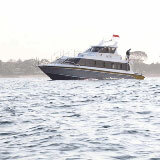 After finishing the trip, we will drop you back to the hotel and will arrive around 3.30 pm.